African leaders have agreed to create the continent’s largest free-trade zone, covering 26 countries in an area from Cape Town to Cairo. Everyone is excited about it – about how it is going to be a great thing for the continent. “With this agreement comes into fruition a century-old dream to link the continent from the Cape to Cairo. 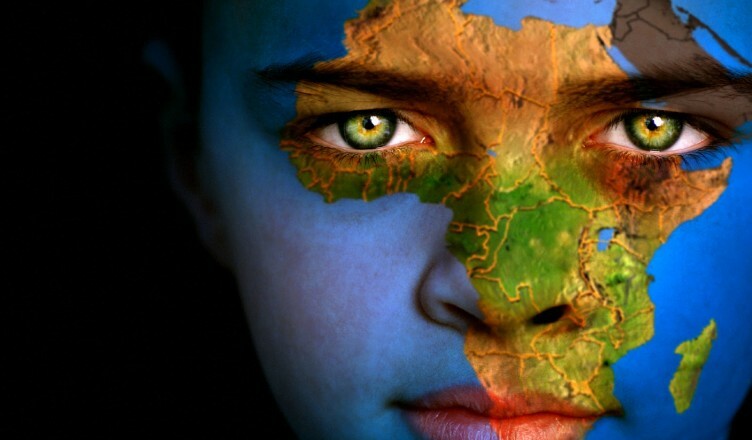 Explorers and freedom fighters alike all shared the vision to integrate African economies,” BBC reports. The heads of State agreed to establish a free trade area among African countries, establish an external tariff to protect emerging industries , establish a Pan African Monetary zone and an African Payments and Clearing Union among other things. The next meeting in Egypt 17-20th July 1964 moved that in unison with the resolution from the last year’s meet, the OAU sets up a study on coordination of means of transport, establishment of road, air and maritime companies because they were aware of the importance of establishing communication links among natural and human resources so as to promote and strengthen direct contacts. The commission set up was ‘specialized’. In 1965 – when the heads of state met again in Accra, Ghana one of the key resolves was to create the Pan African News Agency – its mandate to cover African stories on the continent. This particularly hurts me because a couple of friends on Twitter had a very long conversation about this early this year- and we were almost convinced this was a ‘young people idea’ and an immediate necessity brought up by the current happenings on the continent. Little did we know that – this was already thought about by our fore-fathers. But that is another story for another day. But is does show us that No idea is new after all. I am all for free trade but I also understand that these goods are not going to move themselves. The three trade blocs SADC, EAC and COMESA still have a lot to work out amongst themselves before we begin to see the benefits of this agreement. And among other outstanding issues to be addressed is the movement of persons which is still a problem on the continent. Beginning June 2nd – Ugandans intending to travel to South Africa started to part with Ugx 240,000/ + $36 to be able to get a visa. Before that, the cost was $61. I know that this is the same in so many countries – because South Africa has introduced a ‘facilitation center’ that works on the visa on your behalf – so one does not have to go to the Embassy itself. In Uganda – about a year ago –the was a time that people would line up at 4:00am to submit their visa applications – gates would open at 8:00am and take in only those present. That is what happens with the Chinese embassy and what used to happen with the US Embassy in the 1990’s. Are we making progress in any way as a continent? There is still no direct flight from Uganda to Tanzania and vice versa. One has got to go through Kigali or Nairobi. When I had to make the trip recently, I was in transit for about 6 hours- a journey that should take at most 2 hours. The flight from Uganda to Nairobi delayed, so that meant I missed my connecting flight to Dar ‘es Salaam. The next available flight was also delayed. Instead of arrival in Dar at 4pm, I arrived after 7pm. This is no news for travellers in the East Africa region. I am looking at countries like Lesotho and Namibia that do not have direct flights from East Africa – one has to make two or three stops changing aircrafts and for some going through South Africa – which then requires that you have a transit visa which doesn’t come cheap either. Also, these are usually not available at the airport so one has to apply for them in advance. Goods move by road – you may say. The state of the roads and safely on the roads is not something that I can speak for. We need to ask ourselves: who does this free trade area favour? Is it trade amongst equal trade partners, peers or trade amongst regional blocs? But it is a step in the right direction. Maybe then we will stop having goods from UAE and China in our supermarkets. There is dedicated couple of rows with entirely Chinese goods – 100+ types of noodles and teas which I cannot read in Nakumatt – which is supposed to be a big brand in East Africa. I am hoping that, that will cease to be. I do not mind having South African oranges on the shelves – but I am hoping that our bananas tasty as they are will also make it to Bostwana shelves as well. This kind of trade and integration is what our fore fathers dreamed and planned for. But we have since slept on the job – citizens and leaders alike. Our fascination is about who wins the next election and so programmes are implemented only thus far. And for some – the laws and policies are put in place only to be wiped out by the next government presenting a clean slate. This has not helped us either. I am hoping that we will start to see cooperation, the kind that will make us the envy of the world. Botswana recently started to manage its mineral wealth without conflict. They are now able to cut, polish and sell refined diamonds. A best practice and a challenge to other mineral rich countries – can they do the same? If you are travelling through Egypt and have over 4 hours transit, you can register for a tour package that allows you to go check out the city. Something that we can borrow in our countries as we continue to realize this our dream. The free trade area agreement will still need to be endorsed by the different national parliaments – but after that is done – what next: a lot of work, time to add grease to our elbows. Or else our children will look back in 2063 and will be wondering – what it is that we did right. They will have a long list of great policies staring at them with nothing to show for them.